Zenly is easy to use and looks great! Zenly Locator is an app that aims to remove the tedious "*cssshh* Where are you? *csshh* What are you doing? *csshh*" part of catching up with friends over the phone. To do this, it presents a stylish live location tracker that's designed to be simple, battery efficient, and real-time. It puts your friends' positions on a map and shows the battery level of both your and their phones, letting you stay in touch for as long as you can and easily coordinate yourselves. 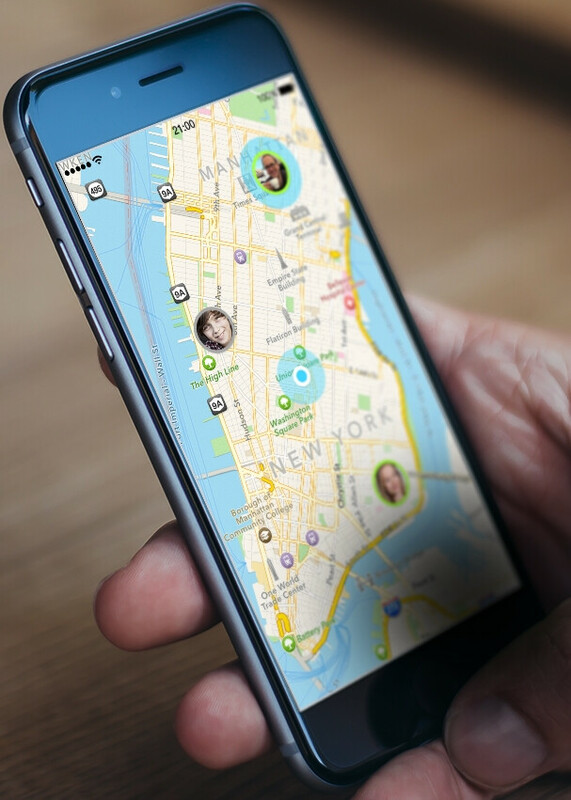 Sharing your location temporarily takes one tap, and there are other features baked in. For example, you can use the app as an alternative to "Find My Phone" type of services by borrowing a friend's handset and looking up your phone's location. Of course, it's also easy to stop sharing your location and go incognito for a moment. While non-stop GPS connectivity drains the battery like a hungry leech, Zenly's developers devised a special algorithm to offset that effect and claim there's nothing quite like it out there. The core functionality aside, Zenly lets users send emojis between each other very quickly. They can also share their live positions with links, get estimated time of arrival for a bunch of friends, and even enjoy some bonus features like ski slopes on the map, 3D Touch shortcuts on the iPhone, and an Apple Watch companion app. Zenly is quite tricked out for a free app, so it's definitely worth a spot on your home screen. Apr 21, 2016, 10:22 AM, by Luis D.
Oct 31, 2014, 7:23 AM, by Daniel P.